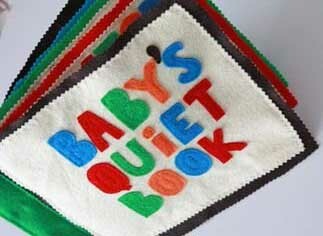 Below are few short steps that will make creating a quiet book an easy and fun process. What will interest a three or four or five years old? What can she or he relate to? What image can excite her as she read? Have idea of what you are creating. Determine how big it will be, a couple of few twenty pages or a hundred page that your child would dose off before she can finish. Will it be easy to carry? The user is a child, remember, and you will not be there all the time to carry it for them. So, pick a pencil and few papers; draft the book out on the pages. If you want to use a template from anywhere, say the internet, have the template with you. This will let you know if there is a material you don’t have ready. And that you could get them. You have an idea what you are creating now; it is easier to decide what is needed. In your plan or template, you have the image of what you have to cut; now you can cut them. Prepare the things you will need. For instance, if your template on page one is to design the image of a fish. You will be spending your time here on making the fish, making it interesting and beautiful. Either with a glue or needle, depending, you have to fix the pieces to the page. Be careful with glues, because they can stain and distort the beauty of the page. Make sure your hands are clean and dry. If you are using glues, depending on the type of glue, consider using clean brushes. After the supplies have been properly glued or sewed, the quiet book is ready. They are permanent now and ready for use. Make the each sheet removable for you, not for the kids. At times, you might want to use a sheet in another quiet book. Enjoy the fun of creating something for your kids. The process is pleasant. That way the result will be fun. Enjoy.